These shoes are so classy! 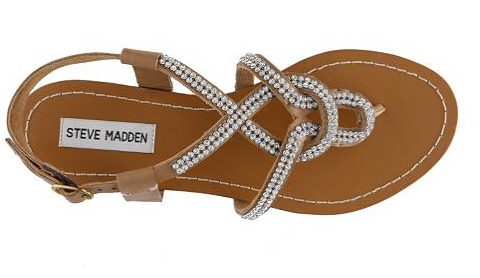 Look sleek and stylish in these shoes by Steve Madden, the design on them is an impeccable eye-catcher, the jewels are beautiful and the sandals will give you a comfortable kind of chic. We hope you like them, check them out at DSW.com in the link above. Do you like these sandals? Are they you're style? What would you wear them with? Let us know in the comments below!